4★ Level 100 and clear Chapter 3 (117) Quest: Valiant Order of Hawk Knights. Long ago, an evil demon was sealed away deep in a caldera. 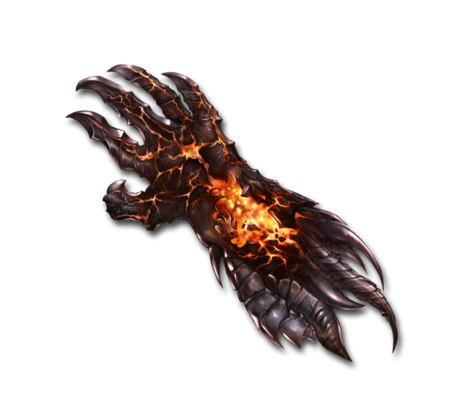 From the boiling magma that destroyed the demon rose this gauntlet, burning with destructive desire. Meltdown Massive Fire damage to a foe. Gain Attack UP. This page was last modified on 4 December 2018, at 15:02.